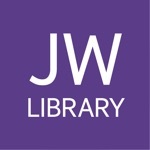 JW LIBRARY SIGN LANGUAGE is an official app produced by Jehovah's Witnesses. 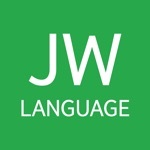 It downloads, organizes, and plays sign-language videos from jw.org, the official website of Jehovah’s Witnesses. 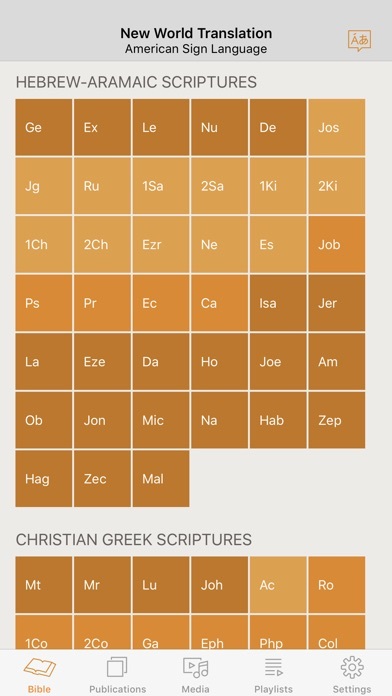 - Quickly Look Up Cited Scriptures. 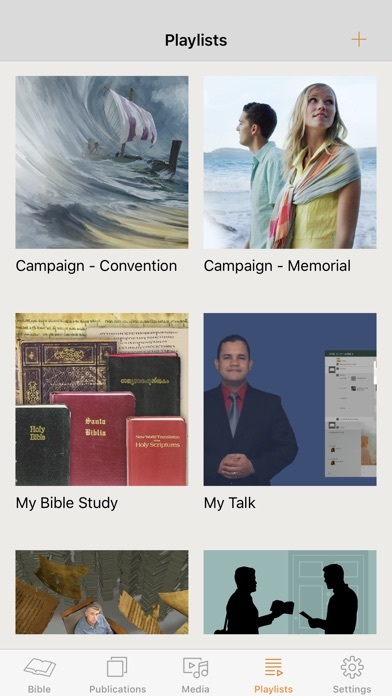 While you are watching a video publication, tap the Bible button. 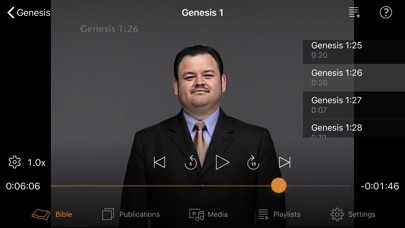 The video pauses while you navigate to the cited Scripture and watch it. Go back to the Library page to resume watching the original video. - Manage Space. 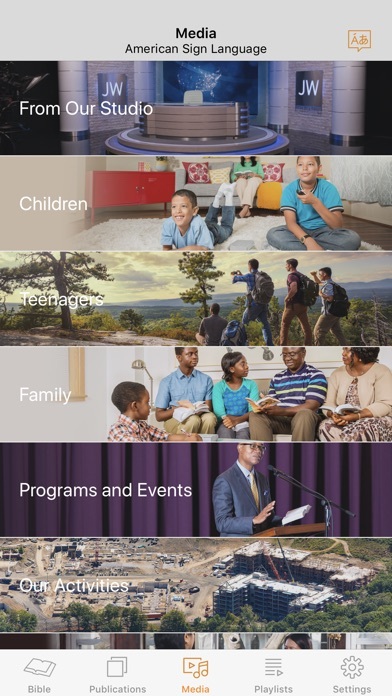 You can choose whether to download larger (higher-quality) or smaller (lower-quality) videos. 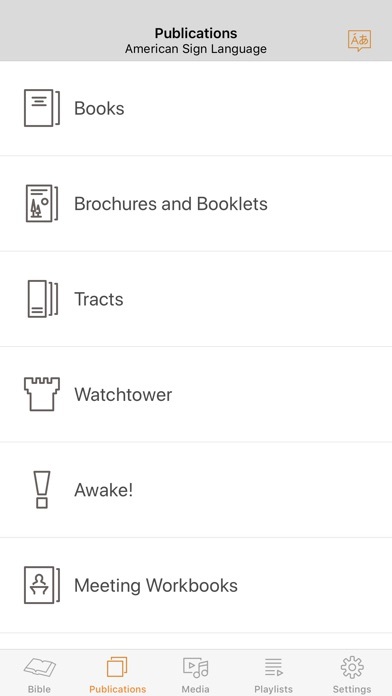 -- Swipe up: Increase playback speed. -- Swipe down: Decrease playback speed.